Aeries Financial Technologies Pvt. Ltd., a fin-tech company promoted by serial entrepreneur and private equity investor V. Raman Kumar, 28 June announced that CASHe, India's fastest growing loan giving app for young salaried professionals has reached a phenomenal milestone of disbursing loans worth Rs. 100 crore to over 25,000 of its loyal customers. What makes this achievement even more commendable is that it has taken CASHe just over one year to reach this disbursement figure by amassing a huge loyal customer base through its technology-enabled lending platform and a robust product portfolio. The company said, it expects to reach a total loan disbursement of Rs. 500 crore by the end of FY 2017-18. "The response to our product offerings has been fantastic. We have witnessed over 25 percent month-on-month (MoM) growth in customer base and over 45 percent MoM growth in loan disbursals since launch of operations," said Mr. V. Raman Kumar, Chairman of Aeries Financial Technologies Pvt. Ltd.
"We focused on developing the Social Loan Quotient (SLQ), our proprietary AI and machine language based technology platform which makes lending fast, automated and flexible. Our focus on introducing paperless lending and verification process and real-time tracking through technology has made us a clear market leader. This has helped most of our customers to get a hassle-free loan within 10 minutes with repeat customers being over 70 percent," he added. 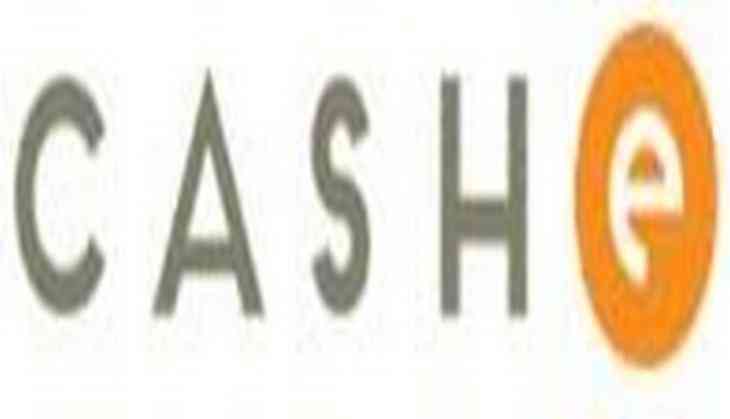 CASHe's target customers are young working professionals in the age group of 25-35 years earning annual salaries ranging from 2.5 lakhs to 25 lakhs spread across India.